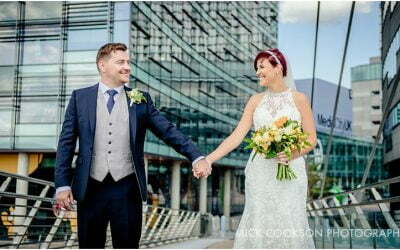 Roxy & Myles were married recently at On The 7th in Media City. It was to be my first wedding there, and I can honestly say it’s simply brilliant. 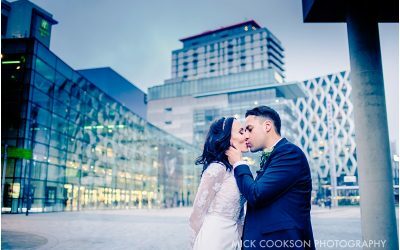 For an urban wedding, On the 7th is perfect; it’s location in the middle of Media City makes for a unique wedding experience. I caught up with Roxy and the girls at their home in Manchester. On board with me for the day was Craig from Get Reel Media – a really nice chap too, and we worked effortlessy together all day. How it should be! As the time approached for me to leave, the excitement was reaching fever pitch at Roxy’s home….ao I took my cue to leave them to their pre-celebrations and meet Myles and the groomsmen at the venue…. …then we we ‘off’….the ceremony was on! 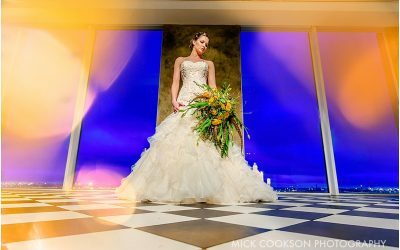 We were lucky…we had 30 minutes available for our bride and groom portraits before the group shots had to be done….luxury! With almost no gap from the end of the wedding breakfast, we were straight in to the night entertainment, hosted brilliantly by award-winng band The Rush Band.